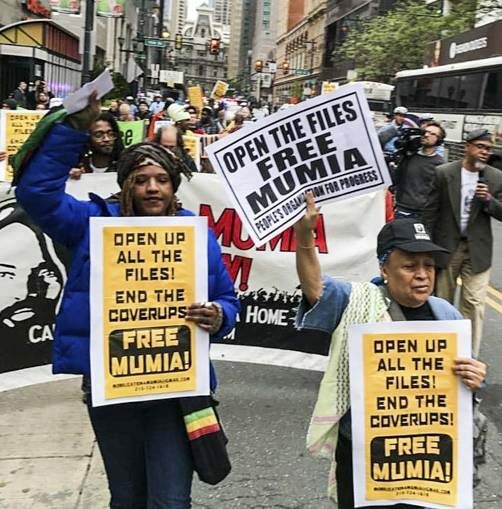 Philadelphia supporters of Mumia Abu-Jamal march on May 30 to demand district attorney’s office comply with court order in his favor. On May 30, demonstrators outside the Philadelphia district attorney’s office demanded its compliance with an order by Common Pleas Judge Leon Tucker to release all files and related documents showing any role played by former District Attorney Ronald Castille in proceedings against political prisoner Mumia Abu-Jamal. May 30 was the court deadline for compliance with the order. Calling on the DA to “open the books,” activists denounced the decades of corruption rampant in the Philadelphia DA’s office and its legacy of racist collusion with the Fraternal Order of Police. The FOP heavily financed Castille’s election campaign for the Pennsylvania Supreme Court. Tucker’s order was in response to an April appeal filed on Abu-Jamal’s behalf. The appeal argued Mumia’s constitutional right to due process was violated when former DA Castile presided over the case in his role as a Pennsylvania Supreme Court judge. The argument is based on Williams v. Pennsylvania, a 2016 U.S. Supreme Court ruling that a judge should not rule in a case in which they had prior significant or personal involvement as a prosecutor. Castille ruled on appeals by Abu-Jamal and 13 other defendants despite requests he recuse himself since their cases had been prosecuted by his district attorney’s office. Judge Tucker had ruled that the DA’s office had to turn over all records regarding Castille’s involvement in Mumia’s case. The order included all pre-trial, trial, post-trial and direct appeal proceedings; memos and communications between Castille and his staff; and any public statements Castille made about Mumia’s case during or after his tenure as district attorney of Philadelphia. In the latest attempt to deny justice to Mumia Abu-Jamal, the Philadelphia district attorney’s office submitted an eleventh hour response to Tucker’s order on May 30. Its two-page cover letter denied any “direct involvement” by Castille. The office submitted only some 54 pages of court filings already part of the case public record, and included nothing that could not be found by perusing existing court records. In other words, the Philadelphia DA’s office is still hiding the truth. The May 30 filings from the DA’s office contained nothing about this jury training tape or any of the other legal issues in Mumia’s appeal to the Pennsylvania Supreme Court and to the U.S. Supreme Court. Activist attorney and Abu-Jamal supporter Rachel Wolkenstein said: “The DA’s response is another attempt to conceal the judicial and prosecutorial misconduct that resulted in Mumia’s frame-up conviction and death sentence. The papers submitted are simply what was part of the public record. There is no attempt to assert that they looked for drafts of their filings, memos circulated between DA’s, notes of consults on how to make their legal argument. The DA’s office refusal goes hand-in-hand with the state’s efforts to silence and intimidate Abu-Jamal supporters. When the demonstrators showed up for the press conference and rally outside the DA’s office, they were met with steel barriers and heavily armed police. Demonstrators stood their ground and eventually ended up surrounding the police. People walking by stopped to listen to rally speakers and eagerly took fliers explaining the case. Local mainstream media have consistently chosen to ignore Abu-Jamal’s appeal and Tucker’s ruling, focusing attention on charges against current District Attorney Seth Williams for petty corruption. 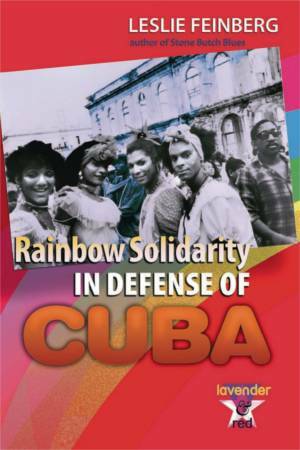 The rally gathered a broad coalition of groups under the umbrella of the Mobilization for Mumia. Speakers at the press conference included Pam Africa with International Concerned Family and Friends of Mumia Abu-Jamal, Johanna Fernandez with the Campaign to Bring Mumia Home, Zayid Muhammad with the Newark Peoples Organization for Progress, Deandra Jefferson with the REAL Justice Coalition, Gregory Muhammad with the Prison Reform Ministry and Diane James from Decarcerate PA. The potential to reopen Mumia’s conviction case is dangerous to certain people in high places. The case is rife with suppression of evidence of innocence, evidence tampering by the police and coercion of witnesses to identify Mumia as “guilty.” The Pennsylvania injustice establishment has consistently lied about the facts of the case and demonized Mumia. Politicians have used the case to win votes through racially divisive law-and-order politics.